Registration Fees are not included in the Fundraising Minimum. Registration fees are paid to RMHC via the "Register online" link below. Your paid race registration with runDisney is GUARANTEED. Once you reach $400 in fundraising, you will be provided with a link to submit your information to runDisney. Deadlines must be met in order to receive all the Team RMHC benefits. As a member of Team RMHC, you are responsible for donating the difference between funds raised and the minimum due at each deadline. By reaching the fundraising minimum, you ensure that RMHC recovers the cost of your participation and maximizes direct funding for the families that we serve. Any funds raised or donated by a participant that withdraws stay with RMHC. Register online now with no service fee. Online registration closes when all of our slots are filled, or October 15, 2019, whichever comes first. Can't make it that weekend? You can still be a part of Team RMHC/Disney Wine & Dine Half Marathon Weekend - be a Virtual Participant! For a $30 registration fee, you still are included in the Team RMHC goodies, incentives and fundraising guidelines (benefits provided by runDisney not included)...... You choose your location, your event & your date! Register as a virtual participant using our online registration form. Visit our website at www.rmhccga.org or contact us at dm@rmhccga.org or 478.746.4090. 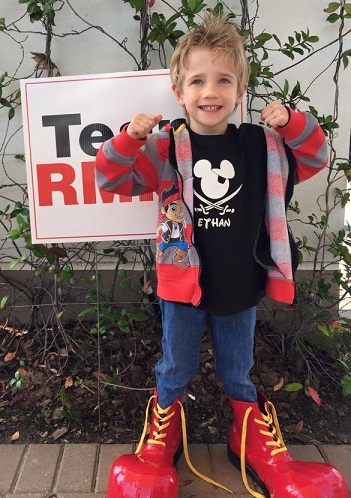 By joining Team RMHC - 2019 runDisney Wine & Dine Half Marathon Weekend Charity Team for this race, you are personally pledging to raise the respective fundraising minimum per your race entry. If your minimum has not been met by October 1, 2019, Ronald McDonald House Charities staff will contact you to confirm your qualified position on Team RMHC.